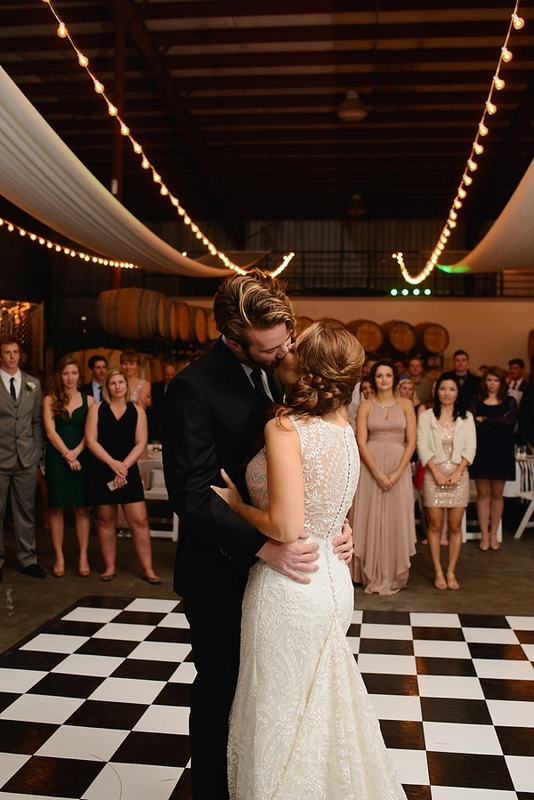 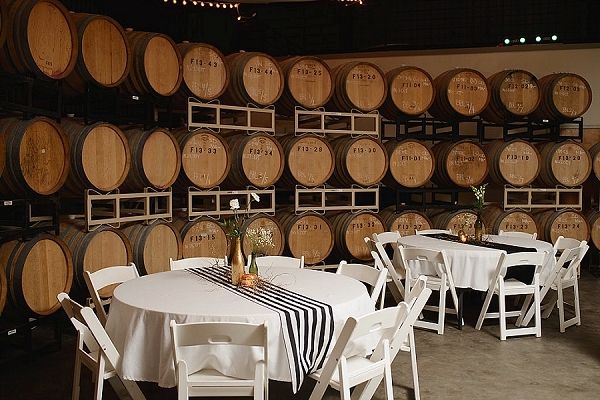 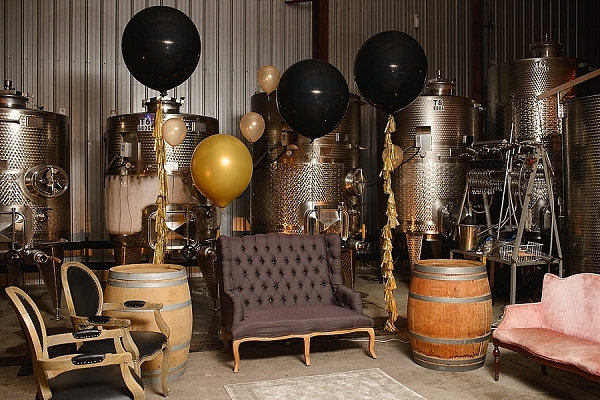 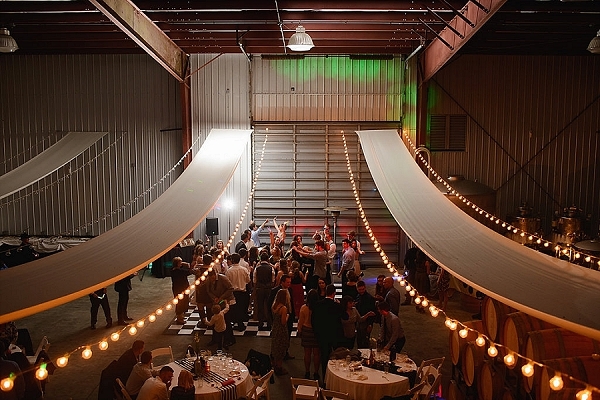 For Lindsey and Brooke, January in the Outer Banks meant a glimmery evening wedding at Sanctuary Vineyards, complete with glowing lights, sweeping drapery hung from the ceiling against an industrial backdrop, giant balloons with tassels, and wooden wine barrels. 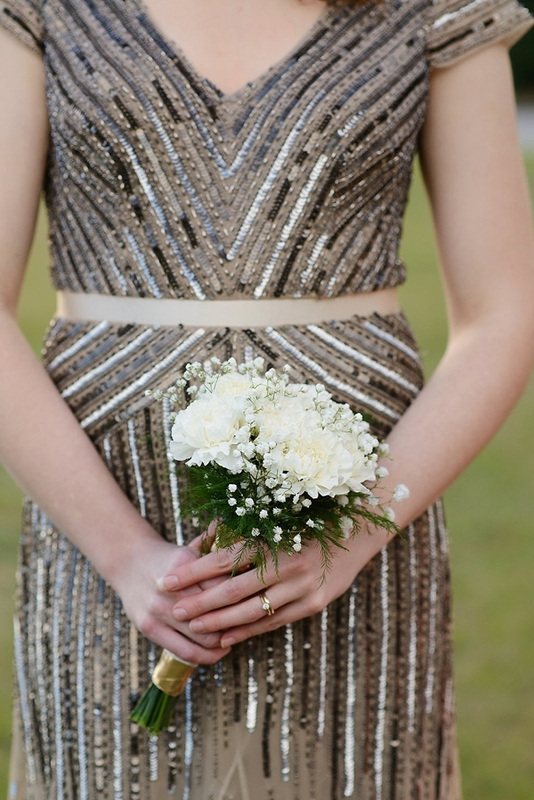 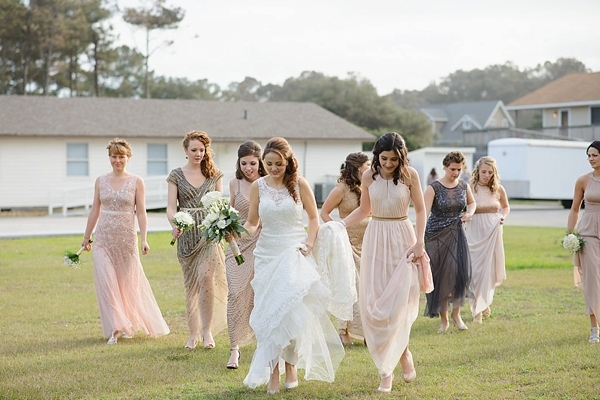 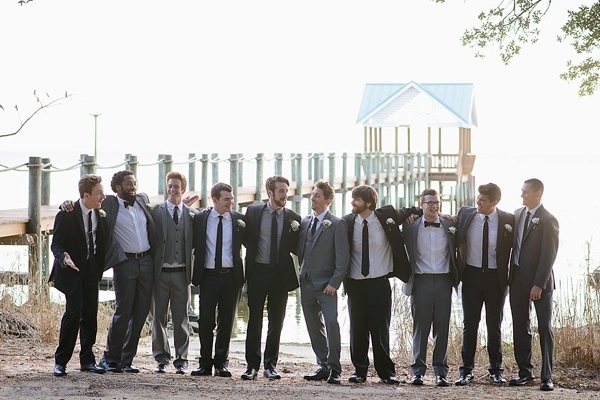 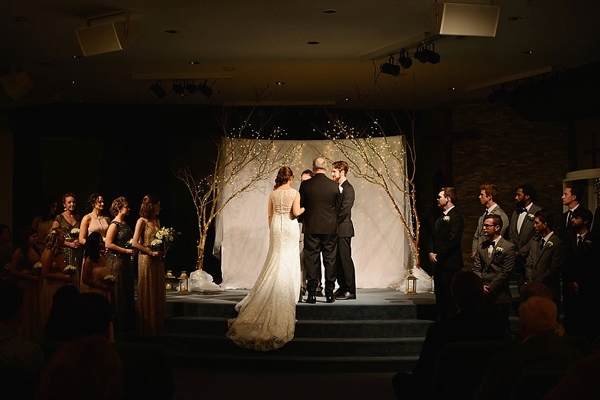 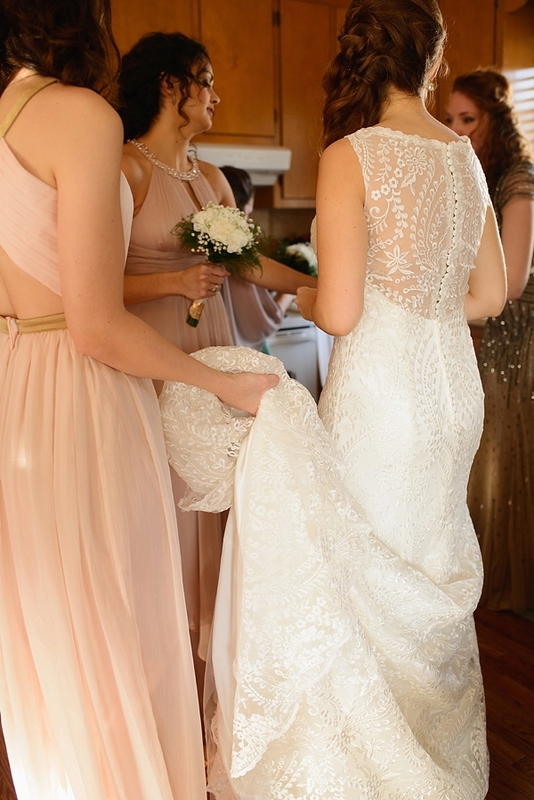 Lindsey wanted her bridesmaids to be happy and comfortable, so they each choose their dresses in the hues of soft blushes, gold, and taupe while Brooke and his groomsmen donned coordinating suits of sleek gray and black. 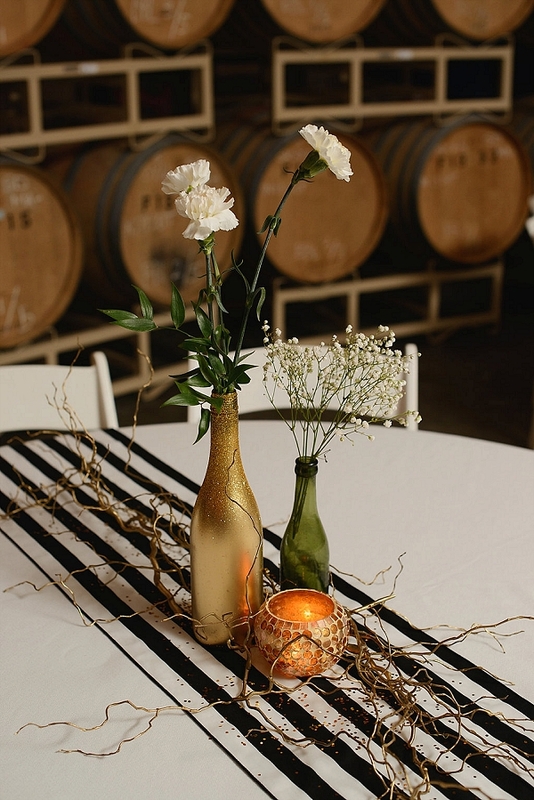 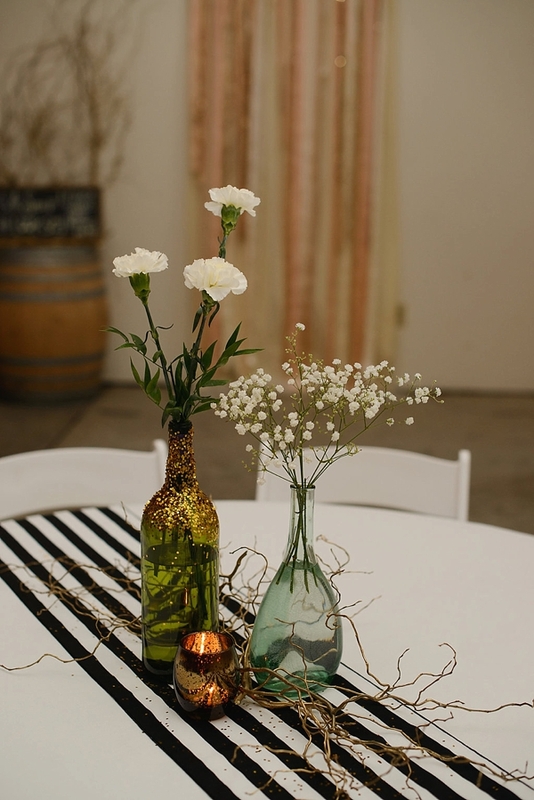 Captured by Neil GT Photography, eclectic vintage furniture created a fun lounge area at the nighttime reception and simple round white tables with black and white striped runners set the monochromatic tone perfectly! 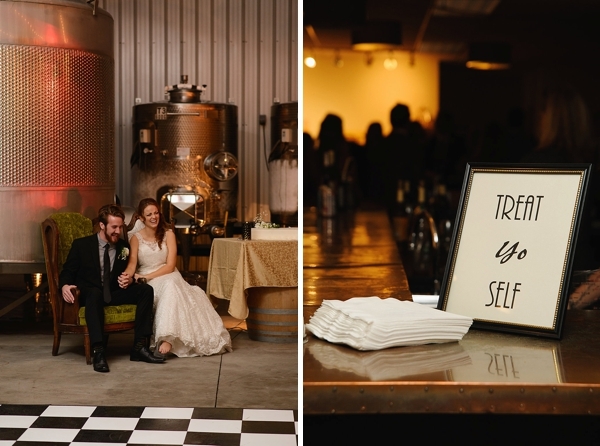 We are also in love with Lindsey and Brooke's "Date Night Idea Jar" that served as their guestbook! 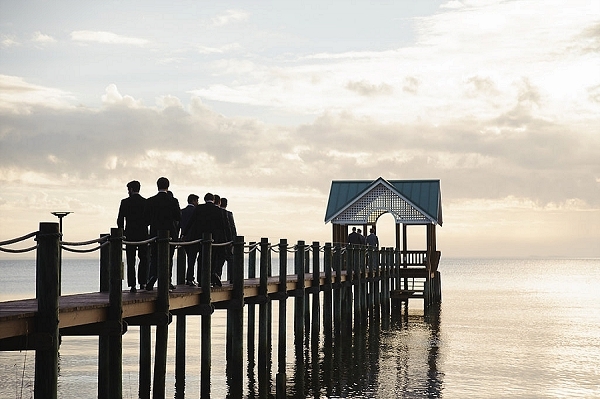 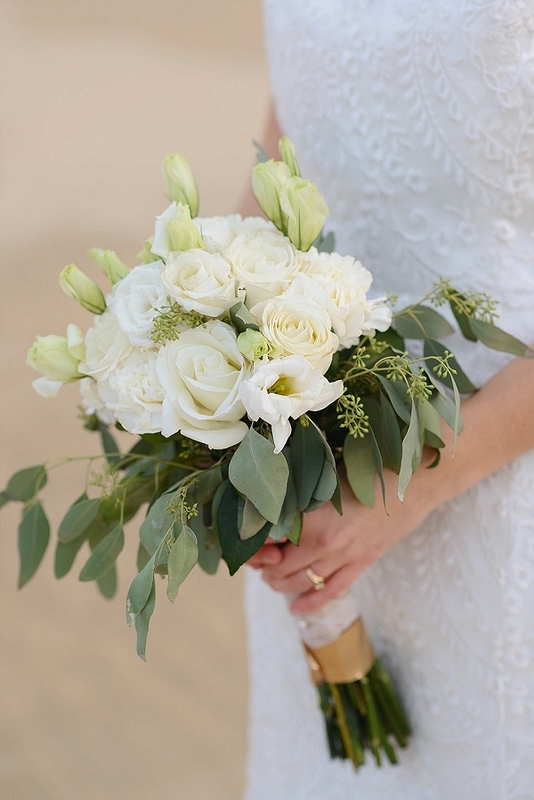 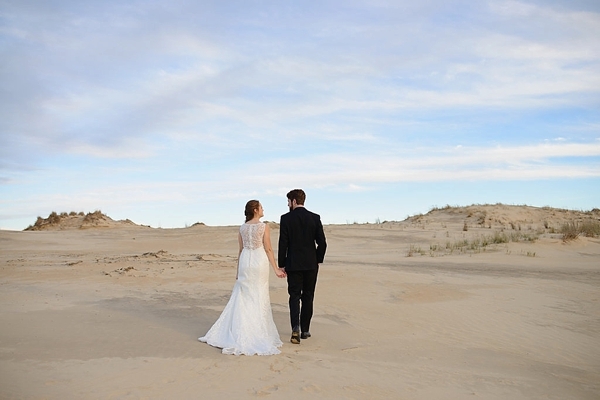 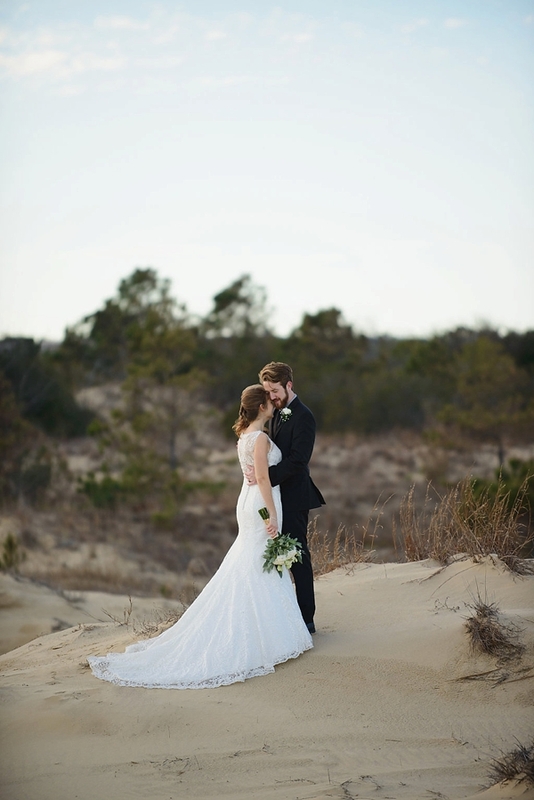 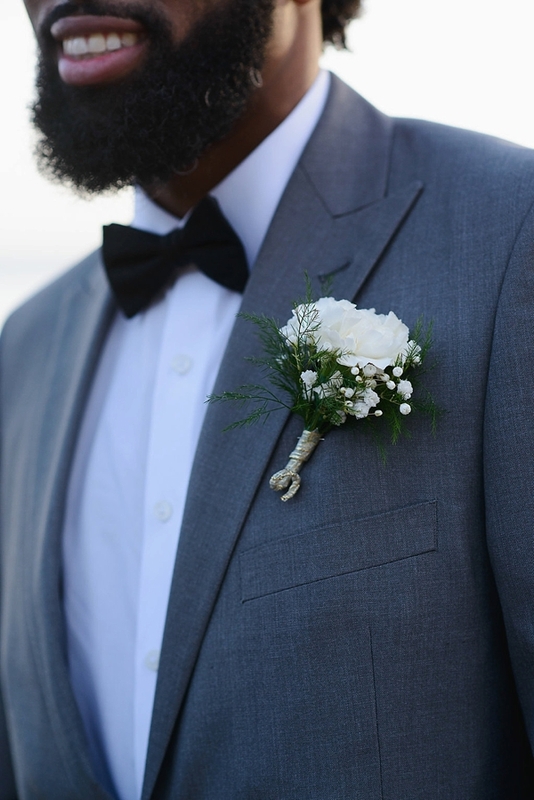 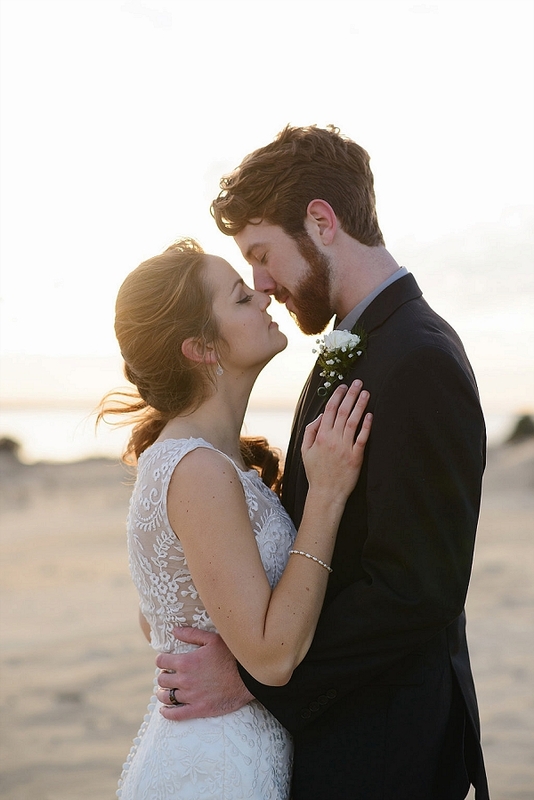 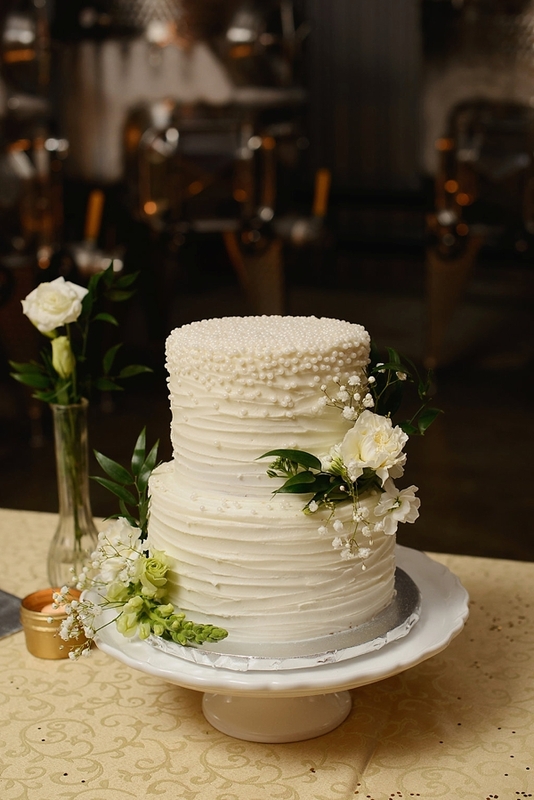 From sunset portraits at Jockey's Ridge State Park to gold bottle reception centerpieces with sprigs of carnations and baby's breath to a dance party to win all dance parties, this is one beautiful Outer Banks celebration that will continue to inspire any couple looking for a different kind of coastal wedding!